We are always on the lookout for cozy gear. Sometimes we find great pieces in the men’s department, and there isn’t anything wrong with being comfortable AND cute. The Nike Sportswear line prides itself on being cute while keeping its functionality. 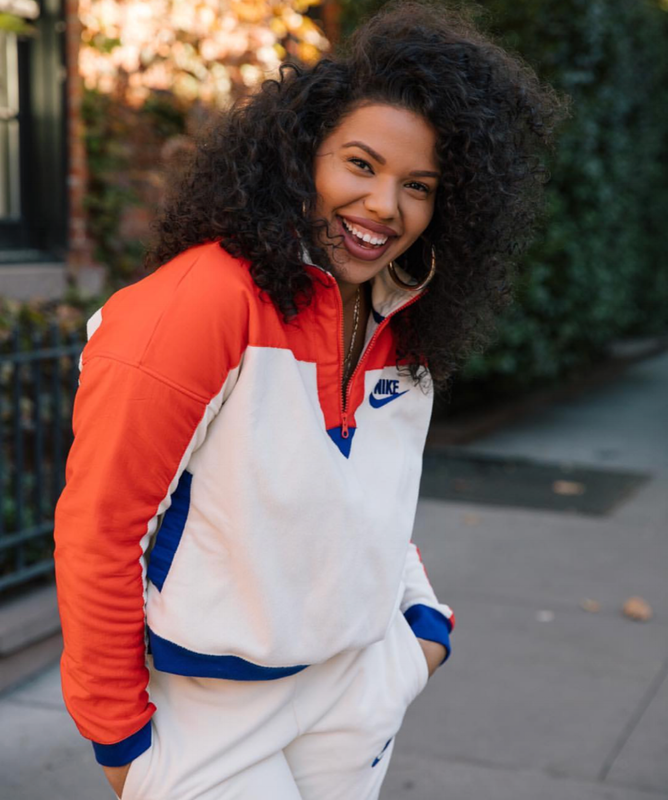 When we came across our sole sister Ty Lauren sportin’ the latest WMNS gear from the Nike Sportswear collection - we took notice. The WMNS Nike Sportswear half-zip top creates a fly sneakHer style with vibrant colorblocking against a light cream. ‘Habanero Red’ accents the top of the half-zip whole ‘Legacy Purple’ detail the bottom trim, sleeve cuffs, Nike branding and pocket lining. Soft fleece adds warm comfort to the top. Matching fleece pants complete the set providing a loose fit with a ribbed waistband and leg cuffs. If you’re feeling this look, you can SHOP THE STYLES below in our slider. The Nike Sportswear half-zip top is $70 USD and the fleece pants are $65 USD. Please note that these are Member Access items and to shop them, you’ll need to sign into your Nike+ account. If you don’t have one, you can register for a free Nike account when prompted to 'sign in to buy'. We’re all about options. Nike has a variety of styles to shop, and you can check out some of our fave picks below to drop in your e-cart. Don’t forget Nike also has 25% off select styles. Find them HERE and use code: CYBER during checkout to activate the discount.